Light and flaky. 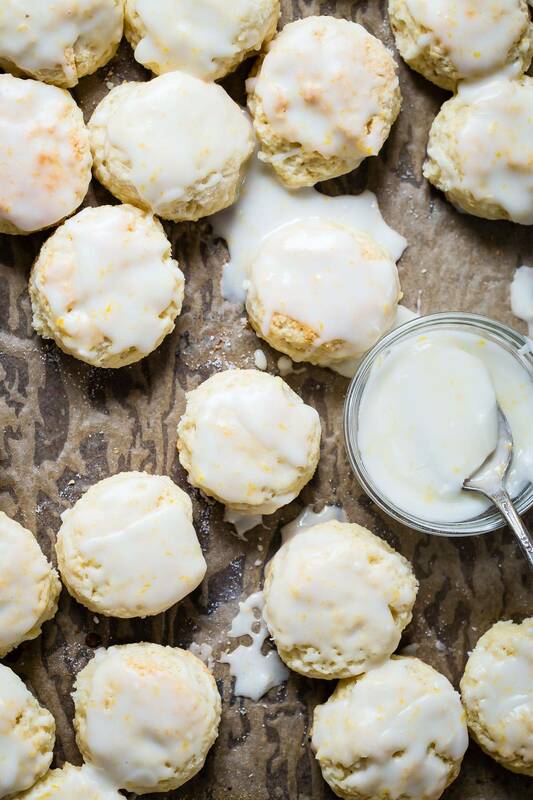 these Mini Lemon Scones are perfect along with an espresso or a glass of ice cold milk! So easy to make and great for summer pot lucks. 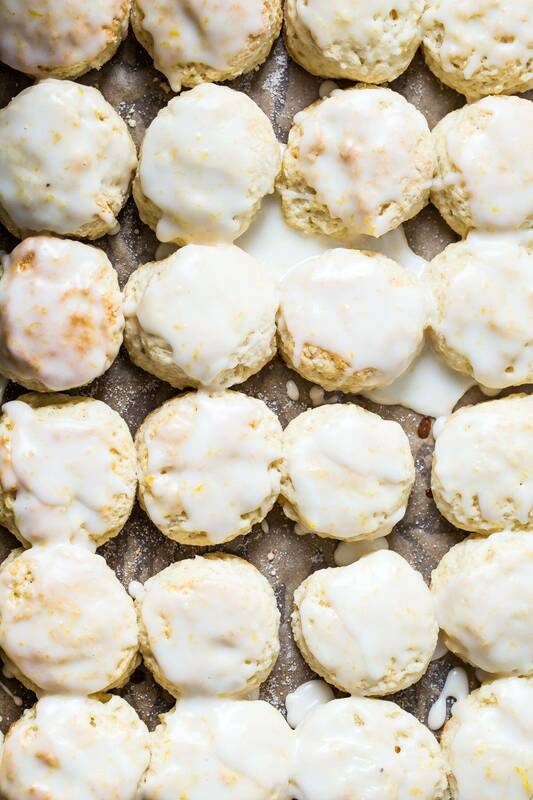 Have you spotted those petite vanilla scones at Starbucks? I’ve eaten way too many of them but there’s a solid reason, I swear. Since my wife started her own exercise and weight loss journey at the beginning of the year, It’s inspired me to shed some pounds myself and so far 10 pounds have vanished, just like that. I feel awesome and I’m loving working out. It’s a drop in the ocean compared to her amazing total of 40 pounds though. Can I hear a virtual mega round of applause for her! Exercise has been key but diet is also playing a big part. Even though I love an In-N-Out burger as much as anyone else, those are once in a blue moon. 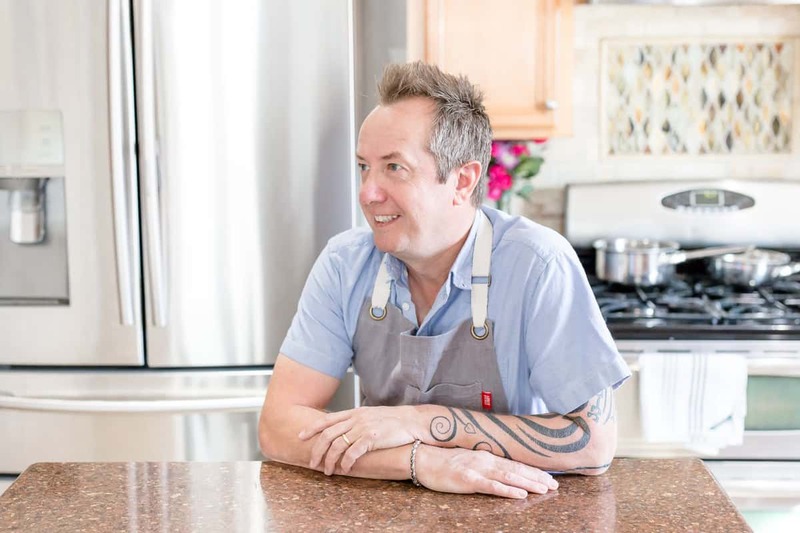 My problem was constant snacking on the small stuff and being a coffee lover, so every time I had a coffee I usually had something to eat with it. Donuts, coffee cake and scones all fell into that category. So part of balancing my sweet tooth with calories was to only eat those mini vanilla scones from Starbucks. That gets expensive, and kinda boring. So I made these itty bitty lemon scones. And I loved them! I’m even brewing more coffee at home, who am I? “Dude how can you eat buttery lemon scones with a lemon powdered sugar glaze on your diet?” Honestly I don’t see myself as being on a diet, just exercising more and making smarter choices about what I eat. Maybe I should minify everything. And wine shouldn’t be mini-fied. Let’s not go there. Sweet mini Lemon Scones just like Starbucks and glazed with a lemon icing. Line a large baking tray or cookie sheet with parchment paper. In a bowl, combine the flour, sugar, baking soda and cream of tartar. Add the butter and crumble with your fingertips. Add the lemon zest and then gradually add the cream and lemon juice until the dough forms a sticky ball. Dump the dough out onto a floured work surface and sprinkle some on top of the dough. Roll the dough into a ball and pat down with your hand or a rolling pin until it's about 1 inch thick. Using a 2 inch plain circle cookie cutter, cut out the scones and place close to each other on the baking tray. 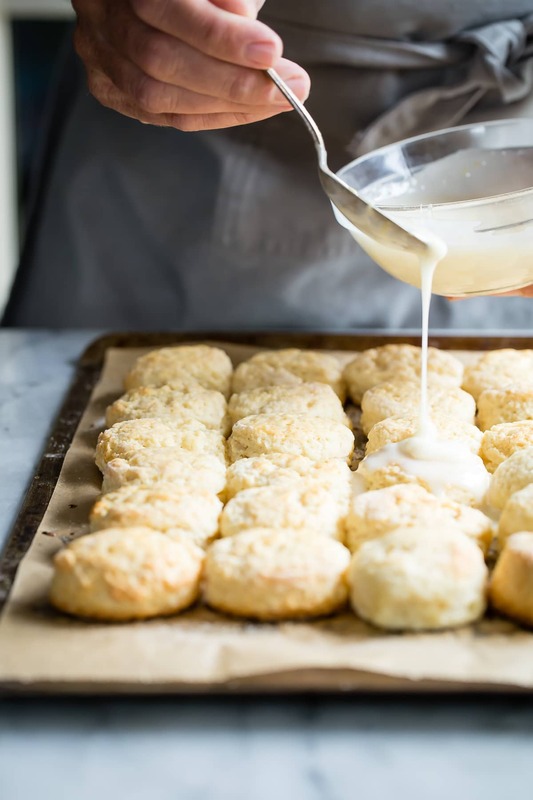 Once all of the dough has been used, brush the scones with the remaining heavy cream. Sprinkle with extra sugar and place in the oven. Bake for about 15-20 minutes or the scones are golden on the top and bottom. Let cool and make the lemon icing. Sift the powdered sugar into a bowl. Add 3-4 tablespoons of lemon juice and the zest of 1 lemon. Stir well until smooth and quite runny. Brush each scone well with the glaze. Serve at once or store in a sealed container. My absolute favorite!!! So making these ASAP! These would be gone in no time here! 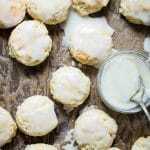 Gorgeous scones and you both are seriously amazing – keep up the great work (and the mini scone eating!). These little scones are glorious! I want a diet where I can eat only mini lemon scones! These are delicious! I seemed to have trouble with the glaze though- the amount of lemon juice to powdered sugar didn’t seem to be enough. Did you have any trouble with that? Hmm Katie, did you warm it in the microwave? That helps to make it more liquid also. Thanks for the feedback!